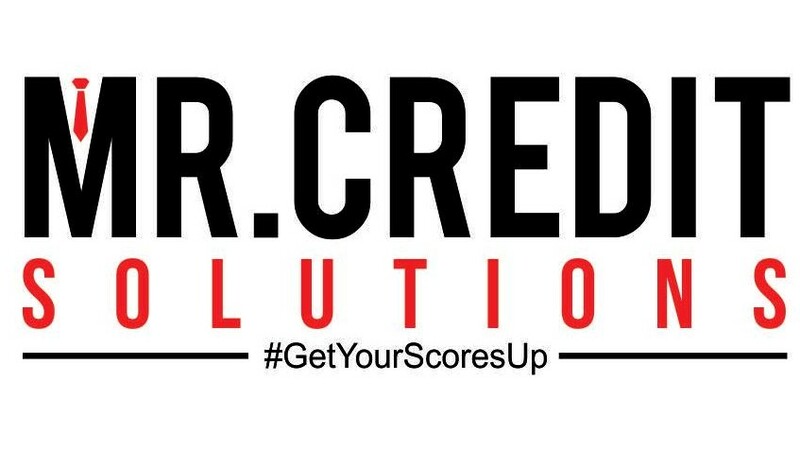 Access and honesty are two of the most important values to Mr. Credit Solutions. We know all of this can seem like a lot. Be we want to sure you have the resources to educate yourself throughly. The following is directly from the website of the Federal Trade Commission (www.ftc.gov). (8) A statement, in a form prescribed by regulations of the Board of the protection provided by sections 161 and 170 to an obligor and the creditors responsibilities under sections 162 and 170. With respect to each of two billing cycles per year, at semiannual intervals, the creditor shall transmit such statement to each obligor to whom the creditor is required to transmit a statement pursuant to sections 127(b) for such billing cycle”. (c) In the case of any existing account under an open end consumer credit plan having an outstanding balance of more than $1 at or after the close of the creditors first full billing cycle under the plan after the effective date of subsection (a) or any amendments thereto, the items described in subsection (a), to the extent applicable and not previously disclosed, shall be disclosed in a notice mailed or delivered to the obligor not later than the time of mailing the next statement required by subsection (b)”. (11) The address to be used by the creditor for the purpose of receiving billing inquiries from the obligor”. (ii)send a written explanation or clarification to the obligor, after having conducted an investigation, setting forth to the extent applicable the reasons why the creditor believes the account of the obligor was correctly shown in the statement and, upon request of the obligor, provide copies of documentary evidence of the obligor’s indebtedness. In the case of a billing error where the obligor alleges that the creditor’s billing statement reflects goods not delivered to the obligor or his designee in accordance with the agreement made at the time of the transaction, a creditor may not construe such amount to be correctly shown unless he determines that such goods were actually delivered, mailed, or otherwise sent to the obligor and provides the obligor with a statement of such determination. (1)A reflection on a statement of an extension of credit which was not made to the obligor or, if made, was not in the amount reflected on such statement. (2)A reflection on a statement of an extension of credit for which the obligor requests additional clarification including documentary evidence thereof. (3)A reflection on a statement of goods or services not accepted by the obligor or his designee or not delivered to the obligor or his designee in accordance with the agreement made at the time of a transaction. (4)The creditor’s failure to reflect properly on a statement a payment made by the obligor or a credit issued to the obligor. (5)A computation error or similar error of an accounting nature of the creditor on a statement. (6)Any other error described in regulations of the Board. (2)the creditor indicates the payment of such amount is not required pending the creditor’s compliance with this section. (d)Pursuant to regulations of the Board, a creditor operating an open end consumer credit plan may not, prior to the sending of the written explanation or clarification required under paragraph (B) (ii), restrict or close an account with respect to which the obligor has indicated pursuant to subsection (a) that he believes such account to contain a billing error solely because of the obligor’s failure to pay the amount indicated to be in error. Nothing in this subsection shall be deemed to prohibit a creditor from applying against the credit limit on the obligor’s account the amount indicated to be in error. (e)Any creditor who fails to comply with the requirements of this section or section 162 forfeits any right to collect from the obligor the amount indicated by the obligor under paragraph (2) of subsection (a) of this section, and any finance charges thereon, except that the amount required to be forfeited under this subsection may not exceed $50. (a)After receiving a notice from an obligor as provided in section 161(a), a creditor or his agent may not directly or indirectly threaten to report to any person adversely on the obligor’s credit rating or credit standing because of the obligor’s failure to pay the amount indicated by the obligor under section 161(a) (2) and such amount may not be reported as delinquent to any third party until the creditor has met the requirements of section 161 and has allowed the obligor the same number of days (not less than ten) thereafter to make payment as is provided under the credit agreement with the obligor for the payment of undisputed amounts. (b)If a creditor receives a further written notice from an obligor that an amount is still in dispute within the time allowed for payment under subsection (a) of this section, a creditor may not report to any third party that the amount of the obligor is delinquent because the obligor has failed to pay an amount which he has indicated under section 161(a) (2), unless the creditor also reports that the amount is in dispute and, at the same time, notifies the obligor of the name and address of each party to whom the creditor is reporting information concerning the delinquency. (c)A creditor shall report any subsequent resolution of any delinquencies reported pursuant to subsection (b) to the parties to whom such delinquencies were initially reported. (a)If an open end consumer credit plan provides a time period within which an obligor may repay any portion of the credit extended without incurring an additional finance charge, such additional finance charge may not be imposed with respect to such portion of the credit extended for the billing cycle of which such period is a part unless a statement which includes the amount upon which the finance charge for that period is based was mailed at least fourteen days prior to the date specified in the statement by which payment must be made in order to avoid imposition of that finance charge. (b)Subsection (a) does not apply in any case where a creditor has been prevented, delayed, or hindered in making timely mailing or delivery of such periodic statement within the time period specified in such subsection because of an act of God, war, natural disaster, strike, or other excusable or justifiable cause, as determined under regulations of the Board. Whenever an obligor transmits funds to a creditor in excess of the total balance due on an open end consumer credit account, the creditor shall promptly (1) upon request of the obligor refund the amount of the overpayment, or (2) credit such amount to the obligor.s account. (a)With respect to credit card which may be used for extensions of credit in sales transactions in which the seller is a person other than the card issuer, the card issuer may not, by contract or otherwise, prohibit any such seller from offering a discount to a cardholder to induce the cardholder to pay by cash, check, or similar means rather than use a credit card. (b)With respect to any sales transaction, any discount not in excess of 5 per centum offered by the seller for the purpose of inducing payment by cash, check, or other means not involving the use of a credit card shall not constitute a finance charge as determined under section 106, if such discount is offered to all prospective buyers and its availability is disclosed to all prospective buyers clearly and conspicuously in accordance with regulations of the Board. (2)such action with respect to any outstanding disputed amount not be taken by the card issuer upon request of the cardholder. (b)This section does not alter or affect the right under State law of a card issuer to attach or otherwise levy upon funds of a cardholder held on deposit with the card issuer if that remedy is constitutionally available to creditors generally. (a)Subject to the limitation contained in subsection (b), a card issuer who has issued a credit card to a cardholder pursuant to an open end consumer credit plan shall be subject to all claims (other than tort claims) and defenses arising out of any transaction in which the credit card is used as a method of payment or extension of credit if (1) the obligor has made a good faith attempt to obtain satisfactory resolution of a disagreement or problem relative to the transaction from the person honoring the credit card; (2) the amount of the initial transaction exceeds $50; and (3) the place where the initial transaction occurred was in the same State as the mailing address previously provided by the cardholder or was within 100 miles from such address, except that the limitations set forth in clauses (2) and (3) with respect to an obligor’s right to assert claims and defenses against a card issuer shall not be applicable to any transaction in which the person honoring the credit card (A) is the same person as the card issuer, (B) is controlled by the card issuer, (C) is under direct or indirect common control with the card issuer, (D) is a franchised dealer in the card issuer’s products or services, or (E) has obtained the order for such transaction through a mail solicitation made by or participated in by the card issuer in which the cardholder is solicited to enter into such transaction by using the credit card issued by the card issuer. (b)The amount of claims or defenses asserted by the cardholder may not exceed the amount of credit outstanding with respect to such transaction at the time the cardholder first notifies the card issuer or the person honoring the credit card of such claim or defense. For the purpose of determining the amount of credit outstanding in the preceding sentence, payments and credits to the cardholder’s account are deemed to have been applied, in the order indicated, to the payment of: (1) late charges in the order of their entry to the account; (2) finance charges in order of their entry to the account; and (3) debits to the account other than those set forth above, in the order in which each debit entry to the account was made. (a)This chapter does not annul, alter, or affect, or exempt any person subject to the provisions of this chapter from complying with, the laws of any State with respect to credit billing practices, except to the extent that those laws are inconsistent with any provision of this chapter, and then only to the extent of the inconsistency. The Board is authorized to determine whether such inconsistencies exist. The Board may not determine that any State law is inconsistent with any provision of this chapter if the Board determines that such law gives greater protection to the consumer.